Central Asian national carrier Turkmenistan Airlines has moved a step closer to formally signing an agreement for the purchase of three Boeing 737MAX-7 aircraft after the country’s president Gurbanguly Berdymukhamedov met with Bryan Lopp, Boeing’s director of international operations and policy, during his visit to the UN General Assembly in New-York late last week. It was the latest round in a series of talks with the American aircraft manufacturer, reports Turkmenistan’s state news agency. 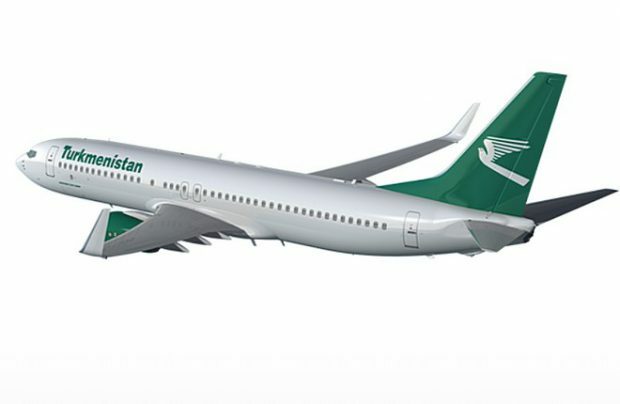 In mid-September the head of the country approved a resolution allowing Turkmenistan Airlines to purchase three re-engined narrow-body aircraft, including one for transporting high-ranking officials. Thus, one of the three aircraft will be a Boeing Business Jet (BBJ), making Turkmenistan one of the first countries in the CIS to operate that version of the 737MAX. The first deliveries of the Boeing 737MAX-7, currently in certification trials, are scheduled for 2019. President Berdymukhamedov explained that the choice of the type was determined by “the accumulated positive experience of operating [such aircraft] on international, domestic and regional routes.” By aligning its current 20-strong fleet of a range of Boeings – 717/737/757/777s – with the new-generation aircraft, Turkmenistan Airlines is hoping to stimulate further development of the country’s air travel market. The previous contract, for three Boeing 737-800s, was signed in 2014 and, according to a state-supported initiative, the airline’s fleet should double by 2030. For its future fleet expansion, other aircraft manufacturers are also under consideration, primarily in the 50 to 100-seat regional aircraft sector for domestic flights.